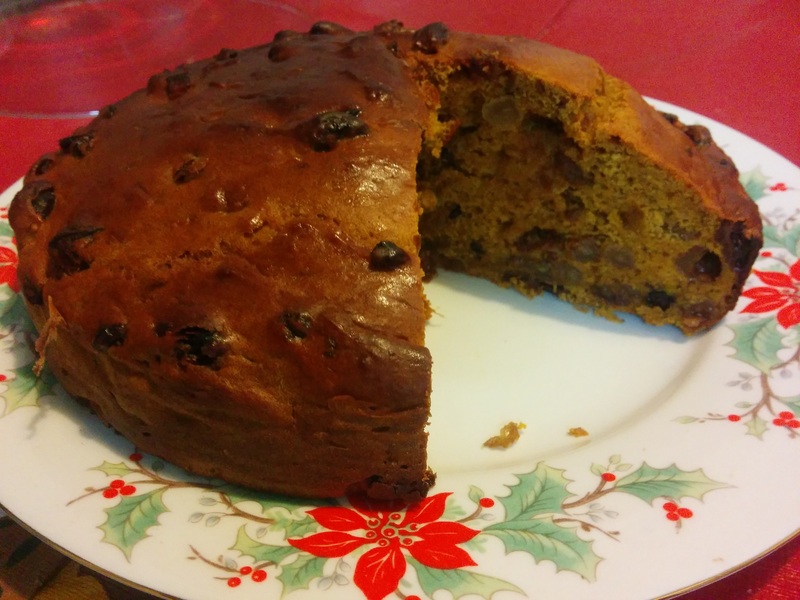 Spiced Pumpkin Fruit cake is another recipe to use some of the pumpkin harvest this year. Mixed dried fruit soaked in sherry, spices and orange zest add flavour to this cake. It is moist and spicy with a lovely colour thanks to the golden pumpkin flesh. We have used no eggs, just a little milk and scant sugar to make this really healthy and easy fruit cake. Pour the batter into the baking pan, smoothing it out with a spatula and bake for 45 minutes or until golden and cooked when tested with a skewer.